A few years ago, I had the opportunity to take my then 12-year-old daughter, Allie, to Arctic Watch Wilderness Lodge, along with a couple of friends and their children. It turned out to be one of our most transformative father-daughter bonding experiences to date, and the trip that has come up most in conversation ever since. I want to share my thoughts and reflections on why this trip created the sort of memories that last a lifetime. In today’s fast-paced world, what could be more valuable than spending quality time with your family and creating meaningful memories? Let’s face it—it’s too easy to get consumed by our busy daily agendas. Society demands us to be highly productive at work and at home, online and offline. The world seems to spin faster and faster, leaving us exhausted and with less quality time to spend with those who are dearest to us: our family.  How do we reconnect and create meaningful memories with our family? Escape your busy environment and go offline. Book some time off, walk out of the office, close the computer, and put the phone on airplane mode (you may still need it for taking pictures). It will be easier to focus on your family without all those distractions. Spend time in nature. Nature is a powerful place to help us gain perspective and unplug from our everyday stress. For me, the more remote, the better. Experience new and fun things together. It is vital to do things together as a family and even better if we can all experience and learn something new as a team. Get out of your comfort zone. We all know this; nothing builds strength of character like being pushed out of your comfort zone. Testing your limits is scary but you get rewarded with a great sense of pride and deep connections to those you share the experience with. Meet inspiring people. There are so many people out there with interesting stories to tell. If you want your children to be inspired by good positive role models, the adventure travel industry is a good place to find strong mentors. When I had the opportunity to do all these things by visiting Arctic Watch Wilderness Lodge—the most northerly lodge in the world—with my daughter, Allie, I knew it was going to be an important father-daughter bonding experience. What is Arctic Watch Wilderness Lodge? Let the magic of wilderness, adventure and people inspire and teach your children! 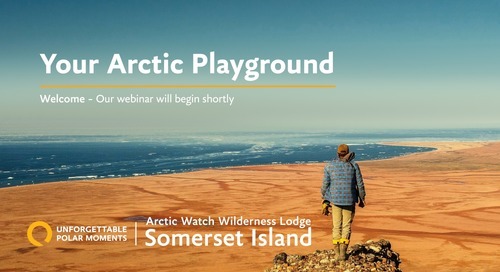 Arctic Watch Wilderness lodge is a family-run adventure basecamp, located 500 km (311 miles) north of the Arctic Circle (at 74°N), on Somerset Island, Nunavut, Canada. Although remote, this fly-in camp has comfortable hotel-like accommodation and delicious meals. It offers unparalleled views of the iconic Arctic wildlife, a diverse range of fully guided adventure options and extraordinary polar photography opportunities. You are hosted by a family of true polar pioneers. Josée and her husband Richard Weber have spent the last 25 years exploring the polar regions and have earned a reputation as the go-to polar experts in the arctic tourism. Their sons Nansen and Tessum are also avid adventurers. In addition to their polar pedigree, the Weber family is also one of the friendliest and they make sure you feel right at home in the high Arctic. As a parent, I am always looking for ways to expose my children to profound experiences that hopefully will resonate, teach, inspire and maybe even transform them in some small way. I want to introduce them to an environment that will push them slightly out of their comfort zone and expand their horizons. Basically, I want to expose them to experiences that will build their grit. One solution would be to send my kids off to a summer camp and some of those boxes would get ticked. However, the problem with that is: I’m not there! Ideally, I want to share the experience and bond with them while it is happening. Arctic Watch Wilderness Lodge helped me achieve this goal in so many extraordinary ways. Continue reading below to find out how the combination of majestic landscapes, iconic wildlife, adventure activities and incredible people created an unforgettable father-daughter trip. 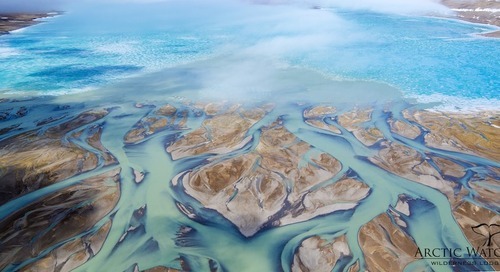 When we first stepped out of the plane, the diversity of landscapes absolutely blew our minds. You have everything from miles of flat tundra with colorful wildflowers to canyons spliced by rivers, to red-river valleys, to rugged mountains and hills. It was truly unimaginable and like nothing we had ever seen before. The proximity of wildlife immerses you in nature as soon as you step outside the lodge. 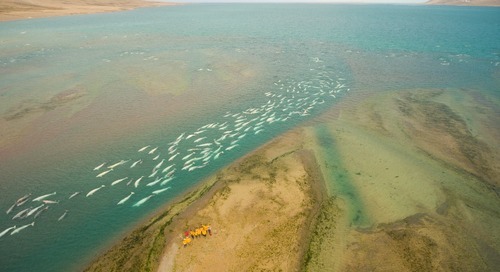 The Cunningham River is home to about 2,000 beluga whales and is one of the most epic natural phenomena in the world. It was magical to see clusters of them socializing and enjoying the warmth of the water. 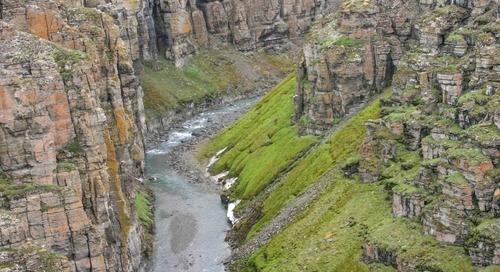 We were also able to find many interesting bird species such as peregrine falcons, loons, snow buntings, sandpipers and rough legged hawks while we hiked up a breathtaking canyon with spectacular five-story waterfalls. “It is such a magical place. You have the ability to see muskox almost every day which is super rare. 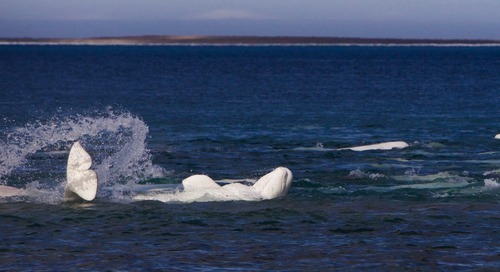 There is also a high probability of seeing polar bears, foxes, snowy owls and seals”. Never a dull moment. Every day was a new adventure with new ways to explore. Being in such an awe-inspiring, remote environment is truly powerful on its own. However, the overarching Arctic Watch Wilderness Lodge element that made it so incredibly unique for us as a family was the sheer diversity of activities. There was no boring or predictable day. Each was an opportunity to do something active, cool and fun. There were boundless adventure possibilities for everyone. We could choose adrenaline-pumping activities like kayaking, rafting, stand up paddle boarding, fat biking or ATVing, or opt for something more relaxing like fishing or hiking. Each activity required us to get out of the familiar, allowing us to access otherwise unreachable places. We worked together as a team and got pushed out of our comfort zone—all in the name of adventure and exploration. We felt like true modern-day explorers, thrilled about our shared discoveries, and that created a deep connection. Unforgettably proud dad moment: Watching my daughter show her courage. One day we decided to go whitewater rafting. The guide asked if anyone was brave enough to trade their seat in the raft for a stand-up paddleboard (SUP). At first nobody was buying into the idea. However, my daughter threw her hand up and said she wanted to do it—she was the only one! In that very moment I felt so much pride because it takes a lot of courage to do that. I was not any less proud when she successfully navigated through the first and biggest rapid with confidence. She did end up falling off the SUP a few times during the trip, but she always got back on. I will never forget that moment: seeing her push her limits and reveal her courage and determination. Meet the people you won’t meet at home: Powerful mentors. Another key component of the trip was the incredibly inspirational and experienced people we met. 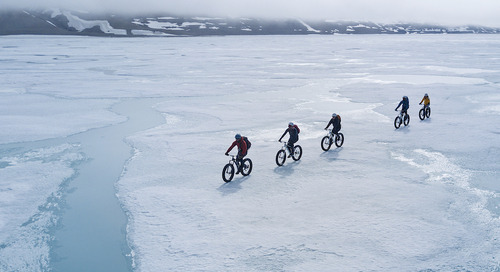 As mentioned before, the lodge is home to a family of real life polar explorers; The Weber family. Josée Auclair and Richard Weber, have over 20 years of experience and more than 45 Arctic expeditions to their credit. Their son Nansen is an award-winning wildlife photographer and Tessum was the youngest person to trek to the North Pole in 2010 and has set various speed records on expeditions with his dad. Listening to their captivating stories was an absolute treat and they made a powerful impression on the kids. They had the ability to make any environment become even more alive with their creative interpretation. Every day the Webers made sure we were learning something new in unexpected ways. I remember one afternoon our guide teaching my kids how a transmission works and then explaining how a fogbow is created. Since our time at Arctic Watch Wilderness Lodge, I have taken my daughter on various canoe trips, safaris in Africa, cultural trips to big cities, and even other Arctic destinations. Of all these incredible experiences, no trip has had nearly as much impact on her as Arctic Watch Wilderness Lodge. She returned home feeling inspired, proud of her experiences, closer to her dad, and having learned so much about so many things—things she could not learn in any classroom. She was exposed to serene landscapes and spectacular wildlife, tested her limits through adventure activities, and met incredibly inspiring people. She talks more about this trip than any other trip, and continues to, because it resonated so deeply on so many levels. And I learned a lot about her and myself—more than I ever could have at home. Now it’s your turn to plan the trip of a lifetime and create transformative bonding experiences with your family! 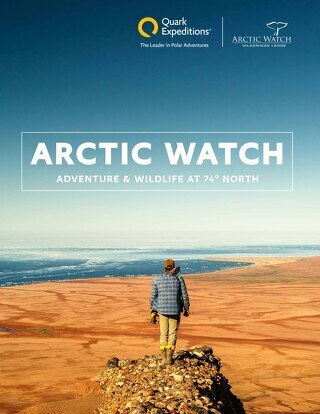 Check out dates and availability for your Arctic Watch family adventure. 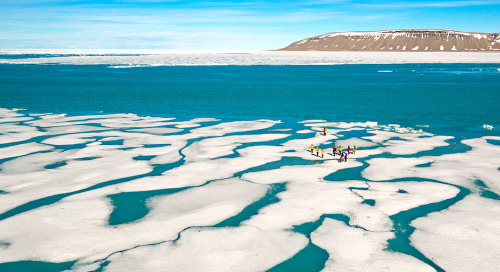 See some frequently asked questions from other travelers about Arctic Watch.